I don't know if this data is correct of not, but there seems to be a 26000 year glaciation cycle. There was apparently an "ice age" 24,000 BC, with another one at approximately 76,000 BC with nothing occurring at 50,000 BC meaning that there was a period of approximately 52,000 years or two cycles in which nothing occurred. Then one cycle later there was another "glaciation" at 102,000 BC... And one cycle later at 128,000 BC, there was another "glaciation". Other than that, not much else... There was plenty of time for there to have been other advanced civilizations that were repeatedly knocked down though not necessasarily human ones. I also can't seem to find out when the great war between Satan's and Michael's forces occurred or if it's still going on. But then there was a great war according to the Hindu Vedas. Have you seen the Puma Puncu (sp) ruins? The History channel has been showing them on their Ancient Aliens series -- some real good stuff on those shows. Pumapunku, also called “Puma Pumku” or “Puma Puncu”, is part of a large temple complex or monument group that is part of the Tiwanaku Site near Tiwanaku, Bolivia. In Aymara, its name means, “The Door of the Cougar”. The processes and technologies involved in the creation of these temples are still not fully understood by modern scholars. Our current ideas of the Tiwanaku culture hold that they had no writing system and also that the invention of the wheel was most likely unknown to them. The architectural achievements seen at Pumapunku are striking in light of the presumed level of technological capability available during its construction. Due to the monumental proportions of the stones, the method by which they were transported to Pumapunku has been a topic of interest since the temple's discovery. It boggles the mind to think that something like any one of these large stone sites could have even been constructed by man. Even now, with all of our technology couldn't even budge one of those stones. One of the construction blocks from which the pier was fashioned weighs an estimated 440 tons (equal to nearly 600 full-size cars) and several other blocks laying about are between 100 and 150 tons. Not 20 nor 200, but 20,000 tons. Archaeologists have unearthed a series of tombs rich with treasures of an extinct Peruvian culture. The 1,500-year-old graves held five unusually tall young men surrounded by textiles, ceramics, llama skeletons, and decorative metal works. The remains are Moche, a culture that thrived on the desert-like coast of northern Peru between A.D. 100 and 800. A farming and fishing community, they constructed irrigation canals, pyramids, palaces, and temples. The origins of the Moche remain unknown, according to lead archaeologist Christopher Donnan. The skeletons, found during a 1997-99 National Geographic-funded expedition, may yield clues to their culture. But the discovery also yields more questions: Why were the people found so tall? What caused their early demise? Donnan's colleague Alana Cordy-Collins, who helped excavate the site, suggests that the skeletons exhibit symptoms of Marfan syndrome, a genetic disorder of connective tissue. That each skeleton has thin, elongated bones is no coincidence, said Cordy-Collins: "We're convinced that it's a genetic anomaly." People with Marfan syndrome tend to be taller than unaffected family members. "Their arms and legs are disproportionately long," explained Eileen Masciale of the National Marfan Foundation. While Moche males averaged 4' 10'' to 5' 6'' (147 to 168 centimeters) , the men found in the tombs measured a towering 5' 9'' to 6' (175 to 182 centimeters. The skeletal abnormalities associated with Marfan syndrome also produce longer fingers and an indented chest bone, characteristics found on the Peruvian skeletons. The skeletal symptoms of Marfan may help identify people with the disease, but "The life threatening part of [Marfan] is how it affects their cardiovascular system," said Masciale. The syndrome often causes potentially fatal aortic complications that Masciale said can cause premature deaths in Marfan patients. "Even in the 1940s they couldn't do anything about it," she said, causing life expectancies for those with Marfan to be lower than normal in the past. In the last several decades, however, advances in medical technology have brought new hope to Marfan patients and their families. For the Moche, however, Marfan syndrome seems to have been a deadly disease. "None of the men was over 22," said Cordy-Collins. Their contemporaries often lived to 50, she said. "[Marfan] is one of the great medical success stories," said Masciale. Diagnosed Marfan sufferers can now expect to live into their 70s, she said. "They don't need to suffer the same fate as these ancient people." The Moche discoveries join Abraham Lincoln and an Egyptian king on the list of historical figures suspected of having Marfan syndrome. Akhenaton ruled Egypt in the 14th century B.C. Depictions of the king show a man with physical symptoms of Marfan—an elongated face, limbs, and wide hips. Lincoln, known for his tall stature, is also thought to have had the disease. DNA testing may be useful in diagnosing the disease in Lincoln, said Masciale, but researchers worry about destroying the president's remains by testing. Cordy-Collins has sent photographs of the skeletons to scientists around the world, hoping to gain a final diagnosis of her discoveries. Although she's received responses to her inquiries, scientists have yet to name Marfan as the definitive cause of the abnormalities. "What would really clinch it," said Cordy-Collins,"is if we could get the ancient DNA." Unfortunately, finding intact DNA in the skeletons is a guessing game, she said. "The technology is not quite there yet." 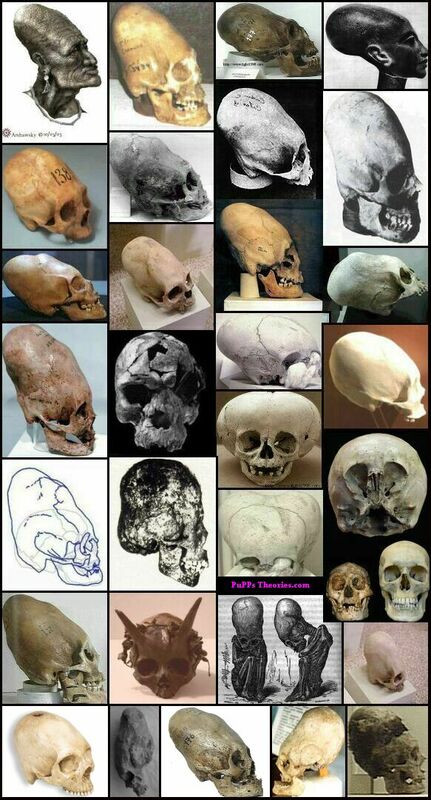 Some sources said that the elongated skulls, or at least the ones that were found in Peru, belonged to these giants which might just be possible. This is a very interesting thread comparing ancient Greek and Mexican architecture, etc. Very cool. Vrtra or Satan? Could be one and the same... Couldn't they? Seven heads or seven fallen angels with Satan being one of the heads that was wounded. Impiety increased; fornication multiplied; and they transgressed and corrupted all their ways. And men, being destroyed, cried out; and their voice reached to heaven. WHAT??? Satan wasn't the serpent? He merely possessed the serpent, which apparently had legs, and because of Satan, he lost his legs and was forced out of the garden along with Adam and Eve to crawl through and eat dust. After I was created, God divided Paradise and all the animals therein between Adam and me. The east and the north were assigned to Adam, together with the male animals. I was mistress of the west and the south and all the female animals. Satan, smarting under the disgrace of having been dismissed from the heavenly host," resolved to bring about our ruin and avenge himself upon the cause of his discomfiture. He won the serpent over to his side, and pointed out to him that before the creation of Adam the animals could enjoy all that grew in Paradise, and now they were restricted to the weeds. To drive Adam from Paradise would therefore be for the good of all. The serpent demurred, for he stood in awe of the wrath of God. But Satan calmed his fears, and said, "Do thou but become my vessel, and I shall speak a word through thy mouth wherewith thou wilt succeed in seducing man." The serpent thereupon suspended himself from the wall surrounding Paradise, to carry on his conversation with me from without. And this happened at the very moment when my two guardian angels had betaken themselves to heaven to supplicate the Lord. I was quite alone therefore, and when Satan assumed the appearance of an angel, bent over the wall of Paradise, and intoned seraphic songs of praise, I was deceived, and thought him an angel. The serpent made every effort to persuade me that I had naught to fear--that God knew that in the day that Adam and I ate of the fruit of the tree, we should be as He Himself. It was jealousy that had made Him say, "Ye shall not eat of it." In spite of all his urging, I remained steadfast and refused to touch the tree. Then the serpent engaged to pluck the fruit for me. Thereupon I opened the gate of Paradise, and he slipped in. Scarcely was he within, when he said to me, "I repent of my words, I would rather not give thee of the fruit of the forbidden tree." It was but a cunning device to tempt me more. He consented to give me of the fruit only after I swore to make my husband eat of it, too. This is the oath he made me take: "By the throne of God, by the cherubim, and by the tree of life, I shall give my husband of this fruit, that he may eat, too." Thereupon the serpent ascended the tree and injected his poison, the poison of the evil inclination, into the fruit, and bent the branch on which it grew to the ground. I took hold of it, but I knew at once that I was stripped of the righteousness in which I had been clothed. I began to weep, because of it and because of the oath the serpent had forced from me. Adam tried to put the blame on me, who had promised to hold him harmless before God. And I in turn accused the serpent. But God dealt out justice to all three of us. To Adam He said: "Because thou didst not obey My commands, but didst hearken unto the voice of thy wife, cursed is the ground in spite of thy work. When thou dost cultivate it, it will not yield thee its strength. Thorns and thistles shall it bring forth to thee, and in the sweat of thy face shalt thou eat bread. Thou wilt suffer many a hardship, thou wilt grow weary, and yet find no rest. Bitterly oppressed, thou shalt never taste of any sweetness. Thou shalt be scourged by heat, and yet pinched by cold. Thou shalt toil greatly, and yet not gain wealth. Thou shalt grow fat, and yet cease to live. And the animals over which thou art the master will rise up against thee, because thou didst not keep my command." Upon me God pronounced this sentence: "Thou shalt suffer anguish in childbirth and grievous torture. In sorrow shalt thou bring forth children, and in the hour of travail, when thou art near to lose thy life, thou wilt confess and cry, 'Lord, Lord, save me this time, and I will never again indulge in carnal pleasure,' and yet thy desire shall ever and ever be unto thy husband." At the same time all sorts of diseases were decreed upon us. God said to Adam: "Because thou didst turn aside from My covenant, I will inflict seventy plagues upon thy flesh. The pain of the first plague shall lay hold on thy eyes; the pain of the second plague upon thy hearing, and one after the other all the plagues shall come upon thee." The serpent God addressed thus: "Because thou becamest the vessel of the Evil One, deceiving the innocent, cursed art thou above all cattle and above every beast of the field. Thou shalt be robbed of the food thou wast wont to eat, and dust shalt thou eat all the days of thy life. Upon thy breast and thy belly shalt thou go, and of thy hands and thy feet thou shalt be deprived. Thou shalt not remain in possession of thy ears, nor of thy wings, nor of any of thy limbs wherewith thou didst seduce the woman and her husband, bringing them to such a pass that they must be driven forth from Paradise. And I will put enmity between thee and the seed of man. It shall bruise thy head, and, thou shalt bruise his heel until the day of judgment." The extraordinary qualities with which Adam was blessed, physical and spiritual as well, aroused the envy of the angels. They attempted to consume him with fire, and he would have perished, had not the protecting hand of God rested upon him, and established peace between him and the heavenly host. In particular, Satan was jealous of the first man, and his evil thoughts finally led to his fall. After Adam had been endowed with a soul, God invited all the angels to come and pay him reverence and homage. Satan, the greatest of the angels in heaven, with twelve wings, instead of six like all the others, refused to pay heed to the behest of God, saying, "Thou didst create us angels from the splendor of the Shekinah, and now Thou dost command us to cast ourselves down before the creature which Thou didst fashion out of the dust of the ground!" God answered, "Yet this dust of the ground has more wisdom and understanding than thou." Satan demanded a trial of wit with Adam, and God assented thereto, saying: "I have created beasts, birds, and reptiles, I shall have them all come before thee and before Adam. If thou art able to give them names, I shall command Adam to show honor unto thee, and thou shalt rest next to the Shekinah of My glory. But if not, and Adam calls them by the names I have assigned to them, then thou wilt be subject to Adam, and he shall have a place in My garden, and cultivate it." Thus spake God, and He betook Himself to Paradise, Satan following Him. When Adam beheld God, he said to his wife, "O come, let us worship and bow down; let us kneel before the Lord our Maker." Now Satan attempted to assign names to the animals. He failed with the first two that presented themselves, the ox and the cow. God led two others before him, the camel and the donkey, with the same result. Then God turned to Adam, and questioned him regarding the names of the same animals, framing His questions in such wise that the first letter of the first word was the same as the first letter of the name of the animal standing before him. Thus Adam divined the proper name, and Satan was forced to acknowledge the superiority of the first man. Nevertheless he broke out in wild outcries that reached the heavens, and he refused to do homage unto Adam as he had been bidden. The host of angels led by him did likewise, in spite of the urgent representations of Michael, who was the first to prostrate himself before Adam in order to show a good example to the other angels. Even Saint Michael bowed down before Adam!!! And Adam and Eve bowed down before GOD!!! Satan's spirit is definitely at work even today with people showing much more selfishness than that. Handicapped with 12 wings and illiterate, not being able to tell the difference between his a$$ or his ox... I will be done??? No Satan!!! - It's THY WILL BE DONE!!!. As Adam tried to shift the blame for his misdeed from himself, so also Eve. She, like her husband, did not confess her transgression and pray for pardon, which would have been granted to her. Gracious as God is, He did not pronounce the doom upon Adam and Eve until they showed themselves stiff-necked. Not so with the serpent. God inflicted the curse upon the serpent without hearing his defense; for the serpent is a villain, and the wicked are good debaters. If God had questioned him, the serpent would have answered: "Thou didst give them a command, and I did contradict it. Why did they obey me, and not Thee?" Therefore God did not enter into an argument with the serpent, but straightway decreed the following ten punishments: The mouth of the serpent was closed, and his power of speech taken away; his hands and feet were hacked off; the earth was given him as food; he must suffer great pain in sloughing his skin; enmity is to exist between him and man; if he eats the choicest viands, or drinks the sweetest beverages, they all change into dust in his mouth; the pregnancy of the female serpent lasts seven years; men shall seek to kill him as soon as they catch sight of him; even in the future world, where all beings will be blessed, he will not escape the punishment decreed for him; he will vanish from out of the Holy Land if Israel walks in the ways of God. Furthermore, God spake to the serpent: "I created thee to be king over all animals, cattle and the beasts of the field alike; but thou wast not satisfied. Therefore thou shalt be cursed above all cattle and above every beast of the field. I created thee of upright posture; but thou wast not satisfied. Therefore thou shalt go upon thy belly. I created thee to eat the same food as man; but thou wast not satisfied. Therefore thou shalt eat dust all the days of thy life. Thou didst seek to cause the death of Adam in order to espouse his wife. Therefore I will put enmity between thee and the woman." How true it is--he who lusts after what is not his due, not only does he not attain his desire, but he also loses what he has! As angels had been present when the doom was pronounced upon the serpent--for God had convoked a Sanhedrin of seventy-one angels when He sat in judgment upon him--so the execution of the decree against him was entrusted to angels. They descended from heaven, and chopped off his hands and feet. His suffering was so great that his agonized cries could be heard from one end of the world to the other. The verdict against Eve also consisted of ten curses, the effect of which is noticeable to this day in the physical, spiritual, and social state of woman. It was not God Himself who announced her fate to Eve. The only woman with whom God ever spoke was Sarah. In the case of Eve, He made use of the services of an interpreter. Finally, also the punishment of Adam was tenfold: he lost his celestial clothing--God stripped it off him; in sorrow he was to earn his daily bread; the food he ate was to be turned from good into bad; his children were to wander from land to land; his body was to exude sweat; he was to have an evil inclination; in death his body was to be a prey of the worms; animals were to have power over him, in that they could slay him; his days were to be few and full of trouble; in the end he was to render account of all his doings on earth." God in His wisdom hiving resolved to create man, He asked counsel of all around Him before He proceeded to execute His purpose--an example to man, be he never so great and distinguished, not to scorn the advice of the humble and lowly. First God called upon heaven and earth, then upon all other things He had created, and last upon the angels. The angels were not all of one opinion. The Angel of Love favored the creation of man, because he would be affectionate and loving; but the Angel of Truth opposed it, because he would be full of lies. And while the Angel of Justice favored it, because he would practice justice, the Angel of Peace opposed it, because he would be quarrelsome. To invalidate his protest, God cast the Angel of Truth down from heaven to earth, and when the others cried out against such contemptuous treatment of their companion, He said, "Truth will spring back out of the earth." The objections of the angels would have been much stronger, had they known the whole truth about man. God had told them only about the pious, and had concealed from them that there would be reprobates among mankind, too. And yet, though they knew but half the truth, the angels were nevertheless prompted to cry out: "What is man, that Thou art mindful of him? And the son of man, that Thou visitest him?" God replied: "The fowl of the air and the fish of the sea, what were they created for? Of what avail a larder full of appetizing dainties, and no guest to enjoy them?" And the angels could not but exclaim: "O Lord, our Lord, how excellent is Thy name in all the earth! Do as is pleasing in Thy sight." For not a few of the angels their opposition bore fatal consequences. When God summoned the band under the archangel Michael, and asked their opinion on the creation of man, they answered scornfully: "What is man, that Thou art mindful of him? And the son of man, that Thou visitest him?" God thereupon stretched forth His little finger, and all were consumed by fire except their chief Michael. And the same fate befell the band under the leadership of the archangel Gabriel; he alone of all was saved from destruction. The third band consulted was commanded by the archangel Labbiel. Taught by the horrible fate of his predecessors, he warned his troop: "You have seen what misfortune overtook the angels who said 'What is man, that Thou art mindful of him?' Let us have a care not to do likewise, lest we suffer the same dire punishment. For God will not refrain from doing in the end what He has planned. Therefore it is advisable for us to yield to His wishes." Thus warned, the angels spoke: "Lord of the world, it is well that Thou hast thought of creating man. Do Thou create him according to Thy will. And as for us, we will be his attendants and his ministers, and reveal unto him all our secrets." Thereupon God changed Labbiel's name to Raphael, the Rescuer, because his host of angels had been rescued by his sage advice. He was appointed the Angel of Healing, who has in his safe-keeping all the celestial remedies, the types of the medical remedies used on earth. This is quite some story. How much has man been allowed to get away with? 2The earth deprived of her children has cried even to the gate of heaven. 3And now to you, O you holy one of heaven, the souls of men complain, saying, Obtain Justice for us with (10) the Most High. Then they said to their Lord, the King, You are Lord of lords, God of gods, King of kings. The throne of your glory is for ever and ever, and for ever and ever is your name sanctified and glorified. You are blessed and glorified. (10) Obtain justice for us with. Literally, "Bring judgment to us from." (Richard Laurence, ed. and trans., The Book of Enoch the Prophet [London: Kegan Paul, Trench & Co., 1883], p. 9). 4You have made all things; you possess power over all things; and all things are open and manifest before you. You behold all things, and nothing can be concealed from you. 5You have seen what Azazyel has done, how he has taught every species of iniquity upon earth, and has disclosed to the world all the secret things which are done in the heavens. 7And have discovered crimes (11) to them. (11) Discovered crimes. Or, "revealed these sins" (Charles, p. 70). 8The women likewise have brought forth giants. 9Thus has the whole earth been filled with blood and with iniquity. 10And now behold the souls of those who are dead, cry out. 11And complain even to the gate of heaven. 12Their groaning ascends; nor can they escape from the unrighteousness which is committed on earth. You know all things, before they exist. 13You know these things, and what has been done by them; yet you do not speak to us. 14What on account of these things ought we to do to them? (12) Arsayalalyur. Here one Greek text reads "Uriel." 3Saying, Say to him in my name, Conceal yourself. 4Then explain to him the consummation which is about to take place; for all the earth shall perish; the waters of a deluge shall come over the whole earth, and all things which are in it shall be destroyed. 5And now teach him how he may escape, and how his seed may remain in all the earth. 6Again the Lord said to Raphael, Bind Azazyel hand and foot; cast him into darkness; and opening the desert which is in Dudael, cast him in there. 8There shall he remain for ever; cover his face, that he may not see the light. 9And in the great day of judgment let him be cast into the fire. 10Restore the earth, which the angels have corrupted; and announce life to it, that I may revive it. 11All the sons of men shall not perish in consequence of every secret, by which the Watchers have destroyed, and which they have taught, their offspring. 12All the earth has been corrupted by the effects of the teaching of Azazyel. To him therefore ascribe the whole crime. 13To Gabriel also the Lord said, Go to the biters, (13) to the reprobates, to the children of fornication; and destroy the children of fornication, the offspring of the Watchers, from among men; bring them forth, and excite them one against another. Let them perish by mutual slaughter; for length of days shall not be theirs. (13) Biters. More accurately, "bastards" (Charles, p. 73; Michael A. Knibb, ed. and trans., The Ethiopic Book of Enoch [Oxford: Clarendon Press, 1978], p. 88). 14They shall all entreat you, but their fathers shall not obtain their wishes respecting them; for they shall hope for eternal life, and that they may live, each of them, five hundred years. 15To Michael likewise the Lord said, Go and announce his crime to Samyaza, and to the others who are with him, who have been associated with women, that they might be polluted with all their impurity. And when all their sons shall be slain, when they shall see the perdition of their beloved, bind them for seventy generations underneath the earth, even to the day of judgment, and of consummation, until the judgment, the effect of which will last for ever, be completed. 16Then shall they be taken away into the lowest depths of the fire in torments; and in confinement shall they be shut up for ever. 17Immediately after this shall he, (14) together with them, burn and perish; they shall be bound until the consummation of many generations. 18Destroy all the souls addicted to dalliance, (15) and the offspring of the Watchers, for they have tyrannized over mankind. (15) Dalliance. Or, "lust" (Knibb, p. 90; cp. Charles, p. 76). 21The plant of righteousness and of rectitude appear, and its produce become a blessing. 22Righteousness and rectitude shall be for ever planted with delight. 23And then shall all the saints give thanks, and live until they have begotten a thousand children, while the whole period of their youth, and their sabbaths shall be completed in peace. In those days all the earth shall be cultivated in righteousness; it shall be wholly planted with trees, and filled with benediction; every tree of delight shall be planted in it. 24In it shall vines be planted; and the vine which shall be planted in it shall yield fruit to satiety; every seed, which shall be sown in it, shall produce for one measure a thousand; and one measure of olives shall produce ten presses of oil. 27The earth shall be cleansed from all corruption, from every crime, from all punishment, and from all suffering; neither will I again send a deluge upon it from generation to generation for ever. 28In those days I will open the treasures of blessing which are in heaven, that I may cause them to descend upon earth, and upon all the works and labour of man. 29Peace and equity shall associate with the sons of men all the days of the world, in every generation of it. Sumer (from Akkadian Šumeru; Sumerian 𒆠𒂗𒂠 ki-en-ĝir15, approximately "land of the civilized lords" or "native land") was a civilization and historical region in southern Mesopotamia, modern Iraq during the Chalcolithic and Early Bronze Age. The pre-dynastic period of Sumer spans the Uruk period (5th millennium BC), followed by the proto-historical early dynastic period (early 3rd millennium BC) and the dynastic period of Sumer proper in the mid 4th millennium BC, until the conquest of Sumer by the Akkadians around 2400 BC. Native Sumerian rule re-emerged for about a century in the so-called Sumerian Renaissance of the 21st to 20th century (short chronology). The cities of Sumer were the first civilization to practice intensive, year-round agriculture, by 5000 BC showing the use of core agricultural techniques including large-scale intensive cultivation of land, mono-cropping, organized irrigation, and the use of a specialized labor force. The surplus of storable food created by this economy allowed the population to settle in one place instead of migrating after crops and grazing land. It also allowed for a much greater population density, and in turn required an extensive labor force and division of labor. Sumer was also the site of early development of writing, progressing from a stage of proto-writing in the mid 4th millennium BC to writing proper by 3000 BC (see Jemdet Nasr). When was the flood approximately? Lets begin in Genesis chap 5. Notice the formula God gives. A direct son will state born after is own image or after his own likeness. If it does not say that were born after his own image they were a new patriarch born in the lineage at the point of the death of the great great grand father. Adam did beget Seth after his own image. Seth did beget Enos after his own image it says so at the end of genesis 4. after that add the entire life of the patriarch and you will come to Lamech who had a son named Noah after his own likeness , add Noahs 600 years to the very date he entered the ark and GOD shut the door, the date. may 21 4990 BC or in linear biblical years 6023. We know Jesus was the son of God because God said for them to call his name Jesus. Add one day for everyday Noah was warned to get into the ark and it was 7. A day is as a thousand years and a thousand years is as a day to God. 7 thousand years later brings us to 2011. may 21 is the second month and the 17 day of Gods calendar. So basically we can be looking at the same flood since the Sumerians and Noah lived around the same time period. Sumer is where civilization began. Well, maybe. There is some disagreement about this, because Jericho in Israel "is now known to be the oldest living city in the world, having been almost continuously occupied for the last 11,000 years" . Unless the oldest city might be Mohenjo-daro in the Indus Valley. In any event, the Sumerian civilization seemed to be thriving several hundred years before the Egyptian; 4000 BC for Sumer and 3500 BC for Egypt. (These early dates, like your mileage, vary according to different scholars.) Both cultures have much in common and much that is different. One theory holds that they both derived from a common antecedent civilization, no records of which are extant. This would explain a remarkable fact about both the Sumerians and the earliest Egyptians: their cultures, according to the archeological record, appear to have sprung up almost overnight. There is no record of the slow and gradual growth of cities, writing and other telltale artifacts. Was there a prior culture? If so, what happened to it? Why do we have no record of it? There is much we don't know about these early times. In fact, all we do know has literally come to light in archeological digs since about 1850, so there is still much speculating and guessing. Other possibilities exist regarding where the Sumerians came from originally. There were other peoples in the area in all directions, the ancestors of the modern Bedouin to the east, another group of Akkadians to the north, and yet another group to the west, but all unrelated culturally to the Sumerians. During the earliest period, around 4000 BC, there seems to have been a drying out of the Mesopotamian delta region at the north end of what we now call the Persian Gulf. The Tigris and Euphrates River valley is what we call Mesopotamia today. About this "wet" period we know next to nothing. Perhaps it is just silt being deposited by the natural action of both rivers, thus forming new land which gradually dried out in time. But there seems to be a considerable amount of evidence - written evidence from Sumerian and later Babylonian clay tablets, of which thousands have been found - that this "wet" period was the Biblical Flood. How much of what later became dry land was actually flooded? Just this river valley? The whole "world," whether this might mean the whole known world at that time, or great portions of the entire globe? No one knows for certain. Thus, the word-symbol shem, for example, can be taken by Sitchin as a spaceship, by Gardner as a special, kingly food, and by others with a wholly different meanings. (Fortunately, with the numbers that represent the musical tunings, there is no such ambiguity.) We just can't tell with any degree of certainty exactly what the Sumerians were talking about much of the time. So far, it is only by indirect evidence that any progress has been made. Recently, Knight and Lomas have put forward an interesting theory. They postulate in Uriel's Machine that the megalithic cultures in Europe, the so-called Grooved Ware people, named after their style of pottery, are the forerunners of the Sumerians and Egyptians. It was their culture that built Stonehenge and Maes Howe in the Orkney's in northern Scotland, this latter of which dates from before 2500 BCE. It's a only theory so far, but a compelling one. Jericho is one of the oldest continuously inhabited cities in the world, with evidence of settlement dating back to 9000 BC, providing important information about early human habitation in the Near East. The first permanent settlement was built near the Ein as-Sultan spring, between 10000 and 9000 BC, by the Canaanite people, and consisted of a number of walls, a religious shrine, and a 23-foot (7.0 m) tower with an internal staircase. After a few centuries, it was abandoned for a second settlement, established in 6800 BC, perhaps by an invading people who absorbed the original inhabitants into their dominant culture. Artifacts dating from this period include ten skulls, plastered and painted so as to reconstitute the individuals' features. These represent the first example of portraiture in art history, and it is thought that these were kept in people's homes while the bodies were buried. This was followed by a succession of settlements from 4500 BC onward, the largest of these being constructed in 2600 BC. Archaeological evidence indicates that in the latter half of the Middle Bronze Age (circa 1700 BC), the city enjoyed some prosperity, its walls having been strengthened and expanded. The Canaanite city (Jericho City IV) was destroyed c.1573 BC according to the carbon dating between 1617 and 1530, but rounded as c.1550 according to the stratigraphical dating. The site remained uninhabited until the city was refounded in the 9th century BC. The earliest settlement was located at the present-day Tell es-Sultan (or Sultan's Hill), a couple of kilometers from the current city. In Arabic and in Hebrew, tell means "mound" -- consecutive layers of habitation built up a mound over time, as is common for ancient settlements in the Middle East and Anatolia. Jericho is the type site for the Pre-Pottery Neolithic A (PPN A) and B periods. Epipaleolithic—construction at the site appears to predate the invention of agriculture, with the construction of Natufian culture structures beginning earlier than 9000 BC, the very beginning of the Holocene epoch in geologic history. Pre-Pottery Neolithic A (8350–7370 BC); sometimes it is called Sultanian. The site is a 40,000 square metre settlement surrounded by a stone wall, with a stone tower in the centre of one wall. This is so far the oldest wall ever to be discovered, thus suggesting some kind of social organization. The town contained round mud-brick houses, yet no street planning. The identity and number of the inhabitants (some sources say 2000–3000 dwellers) of Jericho during the PPN A period is still under debate, though it is known that they had domesticated emmer wheat, barley and pulses and hunted wild animals. Pre-Pottery Neolithic B, 7220 BC to 5850 BC (but carbon-14-dates are few and early). Expanded range of domesticated plants. Possible domestication of sheep. Apparent cult involving the preservation of human skulls, with facial features reconstructed from plaster and eyes set with shells in some cases. Darmon Ving, What do you think caused the destruction we see at Puma Punco? Puma Punku is thought to be 14,000 years old and the stones came from a quarry 10 miles away. The stones were composed of diorite and granite. Diorite is one of the hardest, if not the hardest, types of stone to cut. Harder than granite. So hard that only diamond tipped tools would possibly work. This is just too wild!!! Crop circle season has started early this year but in a familiar setting after this impressive three-dimensional pyramid design was discovered at Milk Hill in Wiltshire. The 175-foot formation was spotted by early morning commuters on the A361 Devises to Alton Barnes road. 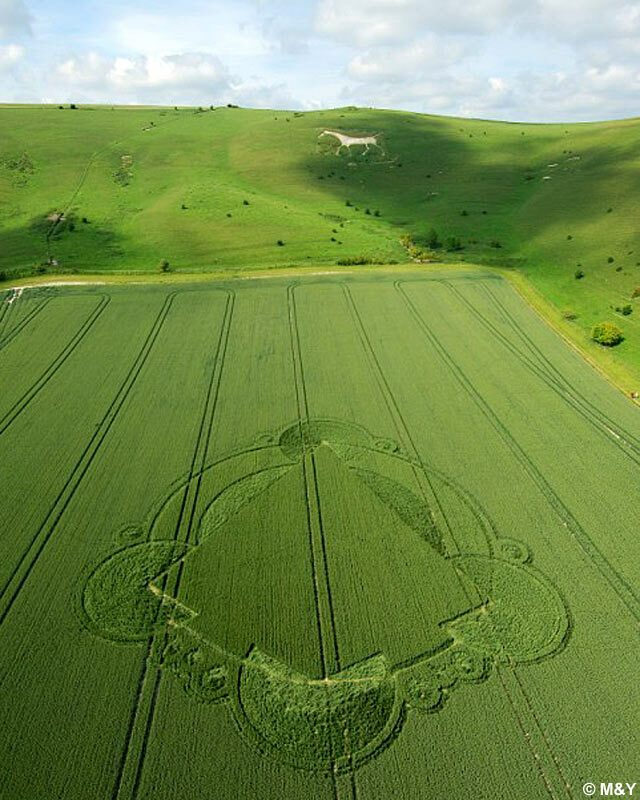 Just metres from the chalk White Horse on the slope at Milk Hill, the pattern consists of a pyramid shape within a circle, surrounded by four smaller circles. Milk Hill is common ground for crop circles with some of the world's most impressive formations appearing there each year. Crop circle expert Steve Alexander said: "There seems to be a different crop circle at Milk Hill every year but each time they grow more spectacular. "At first glance it looks like a three-dimensional view of a pyramid. Numerogically this formation seems to deal with the relationship between three and five. "A two-dimensional representation of the pyramid is a triangle and has three points whereas a three-dimensional has five." Traditionally formations tend to appear in July or August but despite the problems of the recent bad weather in Britain enthusiast claim more are developing early on in the year. Steve added: "There have been quite a few appearing as early as April, which is outstanding really. To have this many this soon is unheard of. "One of the reasons they have not been seen is because photographing has been problematic lately as the weather has been unreasonably wet and cloudy." Pupp this is a got to see... Just about everything I've been posting on this thread. Pyramid shaped object, ship, the new Jerusalem, or whatever it is, pointing to the white horse of Revelation. Thanks for the info --- you want me to add the pyramid crop circle image to your post? One group of so-called aliens or advanced beings are connected to the chosen ones -- I think they are the Anunnaki. But I believe there's also another group on the scene with advanced tech -- we know the corporations as Sony, Honda, Hyundai, Mitsubishi etc. I believe that War Of Worlds really is happening and we witness it with pilotless drones killing civilians in Pakistan and Afghanistan and all the people being blown up in Iraq since the west invaded. If ya got the time to do it then do so Pupp. It would be nice to capture a few images here and there. Never know when i'm gonna be near a computer. Trying to sort out all this information... Total bombardment... Things are happening really fast now... Strange. Yes. There has been a long history of high technology, but on most occasions, they've blown the hell out of one another over the thousands if not millions of years, according to some researchers, of their history. Someone blew up Mars, the moon, parts of earth where there are stone forts that were so badly melted or affected by heat that they turned to glass. India and Scotland were hit the hardest I think. A lot of the UFOS seen today are more inter or extra dimensional ships than they are extraterrestrial. The ancient east indians had countless texts of ships that could not only travel through space but also between dimensions and perhaps even through time. Now they got some zit popping kid sitting behind a computer halfway around the world sending drones after people... What kind of war is that? 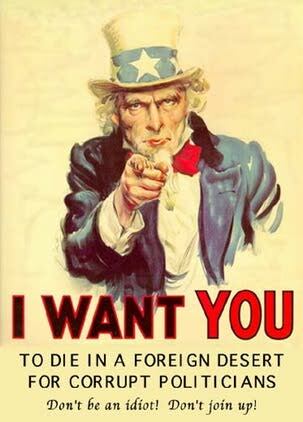 Iraq was the wrong country and so was Afganistan, I really don't think Pakistan is the right one either... Going into Iraq was like going into hell, killing the devil and letting all the demons out... Now we gotta pay over three dollars for gas. Who was the ones that came over and assisted us with the whole Y2K thing, it was India wasn't it? They sent over "technicians" to "Fix" the nonexistent problem and had access to all our computer systems. I even saw some east indians working on a hedgefunder's estate with some mexicans and thought that something just didn't seem right about it... That was in 2007 or early 2008... I thought that there might be something that was going to happen. With such security that this rich guy had, I thought that it was really weird that he would have so many foreigners working for him... Then boom! - We get that whole economic disaster. 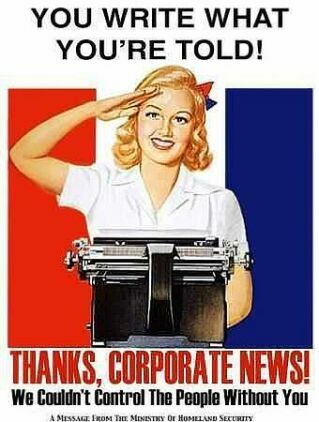 It's a rich man poor man controlled war thing with puppets being hired to play the bad guys, but the puppets ain't that stupid and the rich are gonna get burned. It's all gonna backfire. You can't trust demons... Not all the rich are bad though, some of the families tried to help us, ut their brethren had given them such a bad reputation by what they had done, that we didn't trust them. That made them go lame duck on us and just surrender, throw up their hands and walk away. I didn't see it at the time, but see it all so clearly now. The frustration that they had trying to help us and all we did was bash them. Now we got some problems. Don't know if they'll lay down their lives for us or even fight for our survival anymore. Yeah they're part of the same secret society, part of the same blood line, but tying to go back to the time before their ancestor Judas betrayed Jesus... Because of that, they were all, but exterminated, getting chased up into the mountains after they had.... Nope, they had already been chased up into the mountains before Judas betrayed Jesus. They had worshipped Idols in the town of (drumroll...) Dan. That is why the Tribe of Dan was replaced by the tribe of Manassah who was the son of Joeseph I believe. Judas was a member of the tribe of Dan... The tribe of Dan later became (drumroll...) the Rothchilds, Rockefellers and the Russels as far as I know. As part of the Kingdom of Israel, the territory of Dan was conquered by the Assyrians, and exiled; the manner of their exile led to their further history being lost. In modern day Ethiopia Beta Israel, a group of Jews are claiming to be descendants of the Tribe of Dan. According to the Book of Revelation (7:4-8), the tribe of Dan is the only original tribe of Israel which is not included in the list of tribes which are sealed. No mention is made of why they are excluded. It could be a textual error (Manasseh substituted for Dan) or it could be because of their pagan practices. This made Hippolytus of Rome and a few Millennialists apparently claim that the Antichrist will come from the tribe of Dan. The tribes of Joseph and of Levi are mentioned in Revelation 7:5-8, while they were not commonly counted as tribes elsewhere. In most listings of the twelve tribes Levi is omitted, since the inheritance of Levi are the sacrifices of Israel and not an allotment of territory. Ordinarily Ephraim and the Tribe of Manasseh take the place of Joseph to keep the number of tribes at twelve once Levi is excluded. If Dan were excluded from Revelation 7:5-8 due to its being a seat of idolatry in the Northern Kingdom, perhaps the same reasoning might account for the exclusion of Ephraim since the other seat of idolatry in the Northern Kingdom was Bethel, situated in the territory of Ephraim. However, in Numbers 1:32, the tribe of Ephraim is clearly referenced as representing the "children of Joseph," thus, Ephraim appears to be a euphemism for Joseph, explaining Ephraim's apparent omission in Revelation chapter 7. In mockery and imitation of God’s 12 tribes, Satan blessed 12 bloodlines. One of these bloodlines was the Ishmaeli bloodline from which a special elite line developed alchemy, assassination techniques, and other occult practices. One bloodline was Egyptian/Celtic/Druidic from which Druidism was developed. One bloodline was in the orient and developed oriental magic. One lineage was from Canaan and the Canaanites. It had the name Astarte, then Astorga, then Ashdor, and then Astor. The tribe of Dan was used as a Judas Iscariot type seed. 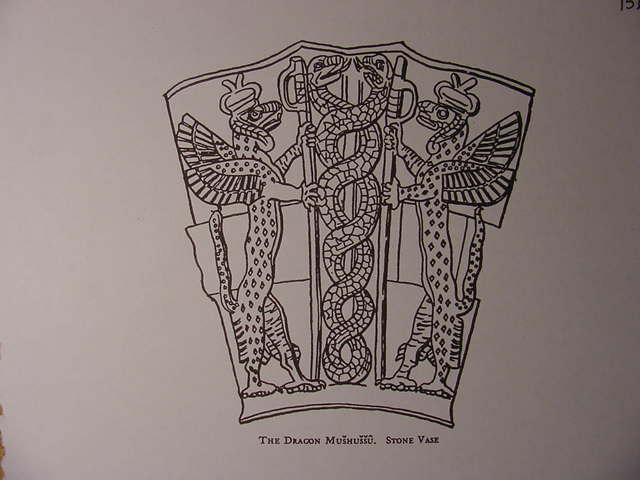 The royalty of the tribe of Dan have descended down through history as a powefful Satanic bloodline. The 13th or final blood line was copied after God’s royal lineage of Jesus. For a voice declareth from Dan, and publisheth affliction from mount Ephraim. . . I beheld the earth, and, lo, it was without form, and void; and the heavens, and they had no light. I beheld the mountains, and, lo, they trembled, and all the hills moved lightly. I beheld, and, lo, there was no man, and all the birds of the heavens were fled. I beheld, and, lo, the fruitful place was a wilderness, and all the cities thereof were broken down at the presence of the LORD, and by his fierce anger. For thus hath the LORD said, The whole land shall be desolate; yet will I not make a full end. The Merovingians were Goddess Diana worshippers, as are so many in this line to the present day. They founded the city we call Paris and on one of their former sites of Diana ritual, Princess Diana was murdered in the Pont d'Alma tunnel (meaning "bridge or passage of the Moon Goddess") on August 31st, 1997. As The Biggest Secret points out, the Windsors, another Merovingian bloodline, were very much involved in this ritual murder. From the Merovingians, this bloodline's connections to the present day include: Charlemagne (742-814), who ruled as Emperor of the West in the Holy Roman Empire; a stream of French kings, including Robert II, Philip Ist, II and III, and Louis Ist, II, VI, VII, VIII, VIIII, XIII, IX, XV, and XVI. The latter married Marie Antoinette of this same bloodline and both were executed in the French Revolution. But they produced the son who became Daniel Payseur, who, as The Biggest Secret explains, was taken to the United States where he became the secret force behind the Morgan and Carnegie empires and owned vast amounts of real estate, banking, and industrial holdings. This bloodline also connects to the de Medici family which supported Christopher Columbus and produced Catherine de Medici, the Queen of France who died in 1589. Her doctor was Nostradamus: It includes Rene d'Anjou, Duke of Lorraine, and the House of Lorraine which employed Nostradamus and Christopher Columbus. The bloodline relatives of the de Medicis and the House of Lorraine, Queen Isabella of Castile and King Ferdinand of Spain, were also sponsors of Columbus when he "discovered" the Americas. This bloodline also includes the Habsburgs, the most powerful family in Europe under the Holy Roman Empire; Geoffrey Plantagenet and the Plantagenet royal dynasty in England; King John, who signed the Magna Carta; King Henry Ist, II, and III, who were extremely close to the Knights Templar, as was King John; Mary Stuart and the Stuart Dynasty, including King James Ist of England, sponsor of the King James version of the Bible; King George Ist, II, and III; Edward Ist, II, and III, Queen Victoria; Edward VII; George V and VI; Queen Elizabeth II; Prince Charles and Elizabeth's other offspring, Anne, Andrew and Edward; Princes William and Harry from Charles' "marriage" to Princess Diana; US Presidents, George Washington, John Adams, John Quincy Adams, Thomas Jefferson, Franklin Delano Roosevelt, and George Bush are all named in the charts as strands of this bloodline; it was passed on to the year 2000 US presidential favorite, George W. Bush Jr., and his brother, Jeb Bush, the Governor of Florida. In fact if you go deeply enough into the genealogical research you will find that ALL the presidents are from this line. Genealogical sources, like the New England Historical Genealogical Society and Burkes Peerage, have shown that 33 of the 42 presidents [up] to Clinton are related to Charlemagne and 19 are related to England's Edward III, both of whom are of this bloodline. A spokesman for Burkes Peerage, the bible of royal and aristocratic genealogy based in London, has said that every presidential election since and including George Washington in 1789 has been won by the candidate with the most royal genes. Now we can see how and why. 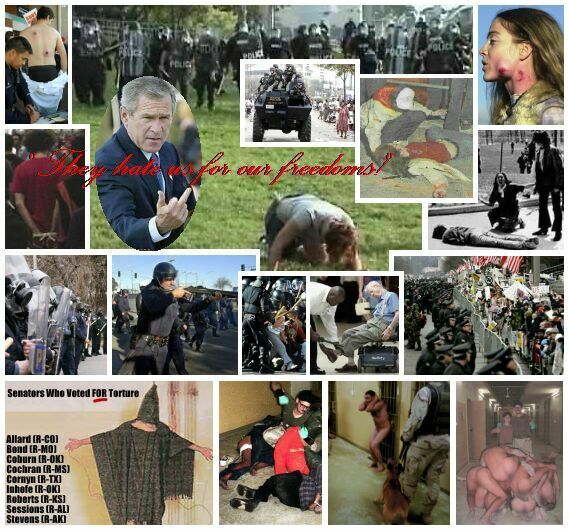 United States presidents are not chosen by ballot, they are chosen by blood! I think that it was a strand of the Merovingians that tried to protect us. I didn't see it at the time, but I do see it now. Like Samson, they want to be redeemed. Samson was of the tribes of Judah and Dan... Called a Danite though.... I think his mother was of Judah. They can repent. There's still time if they haven't already. They still knew all the symbols and signs, but they only did them to keep the others from getting suspicious.